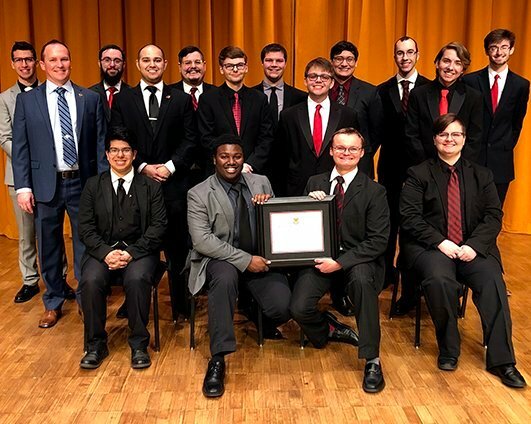 This year Phi Mu Alpha will be returning for the Texas Music Educators Association’s 2019 Convention, taking place on February 13th through February 16th in San Antonio, Texas. 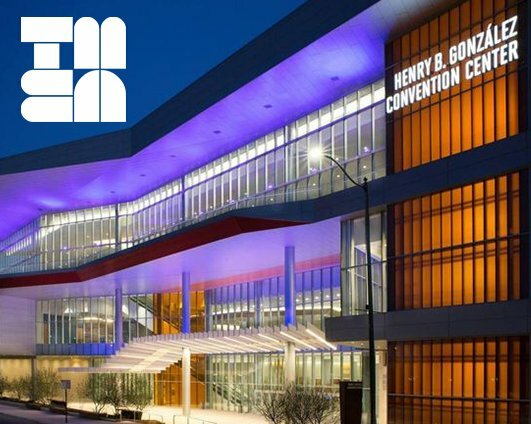 As an annual event, the TMEA Convention brings nearly 30,000 visitors from across the country. Not only can one experience terrific performances but can also have the opportunity to learn from some of the most renowned educators and clinicians in the nation. No matter what your interest, there is plenty to learn and discover. 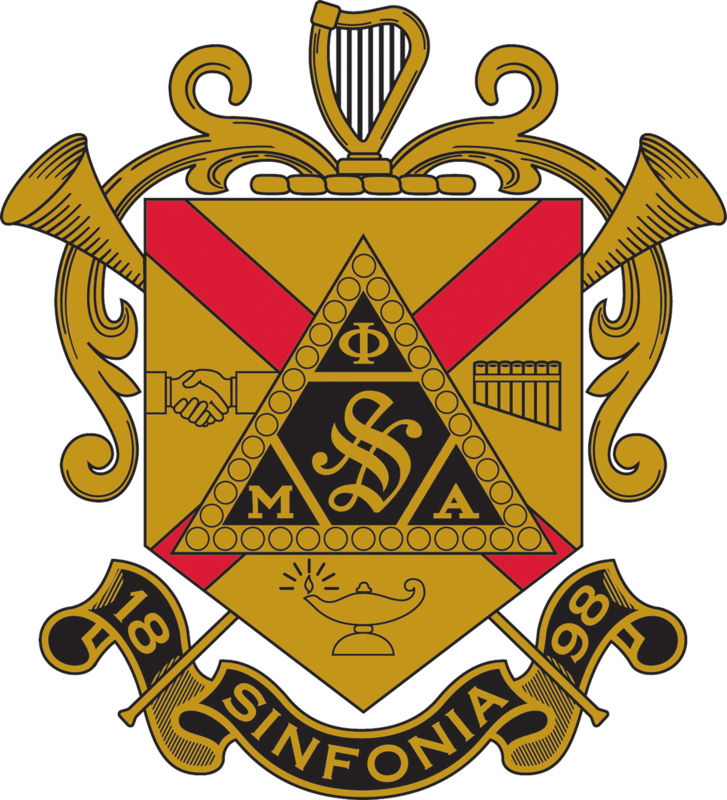 While attending the convention in San Antonio, Brothers and friends are invited to stop by to say hello, catch up with old friends, and join us for our annual Phi Mu Alpha Step Sing. 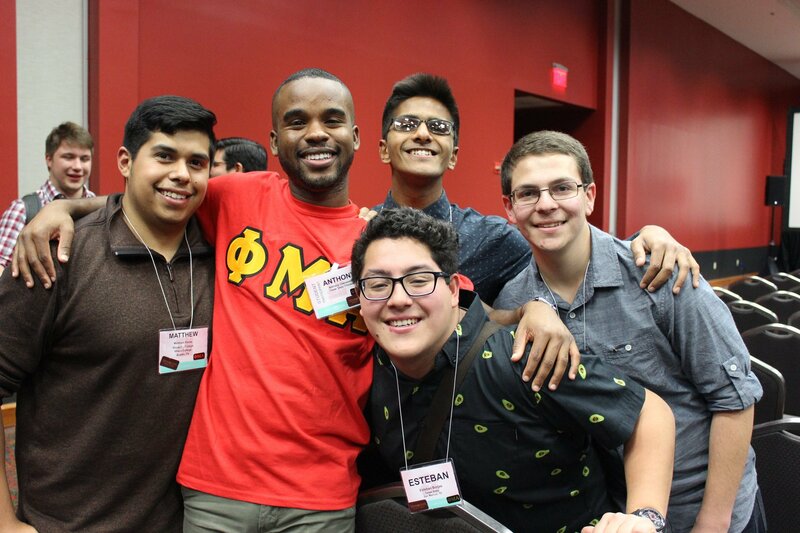 The Fraternity has had some form of presence at the nation’s largest music educators convention since the 1980s. That presence has grown over the past few years thanks to Brother David Irving, Gamma Theta (North Texas University) 1960. The Phi Mu Alpha Booth at TMEA now sees over 800 Brothers annually and has become an official part of the Official Exhibit Booth program of the National Headquarters. It was Brother Irving who began forging a consistent place for the Fraternity at the convention starting with small booth spaces that he paid for by himself. He would help offset the costs of the booth by selling Fraternity history books that were provided by the National Headquarters. 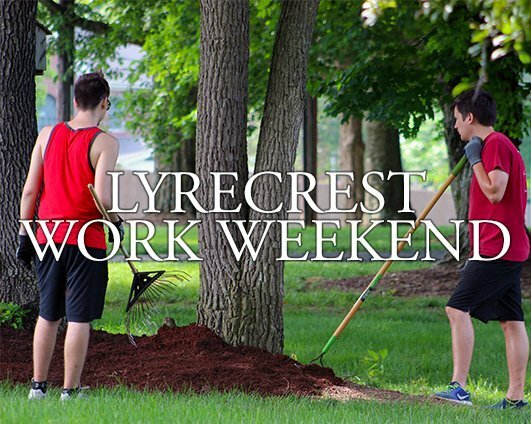 As his efforts grew, so did the booth’s attraction to alumni and friends of Fraternity. At the 1985 National Assembly, Brother Edward Klint, Alpha Xi (The University of Illinois at Urbana-Champaign) 1978, coordinated a Step Sing. 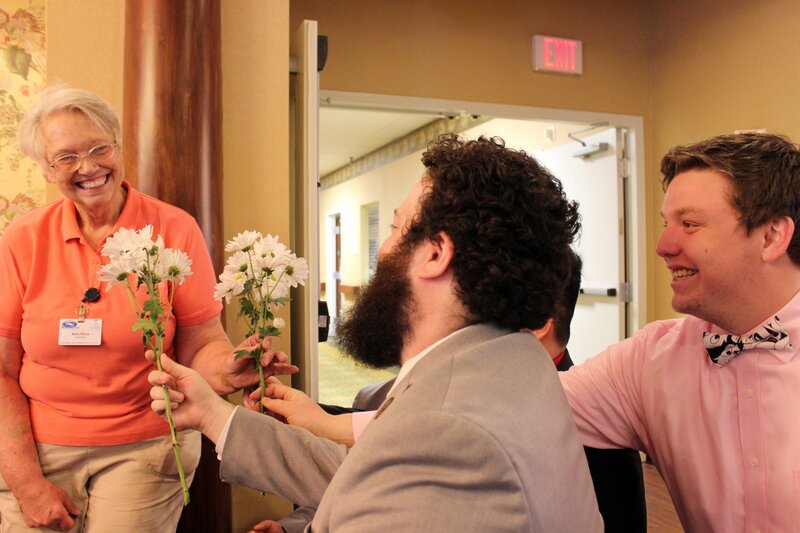 The next year, in 1986, Brother Irving recreated that experience at the TMEA Convention by gathering a small group of Brothers at San Antonio’s Grand Hyatt Riverwalk Mezzanine to sing and share in the comradery of the event. 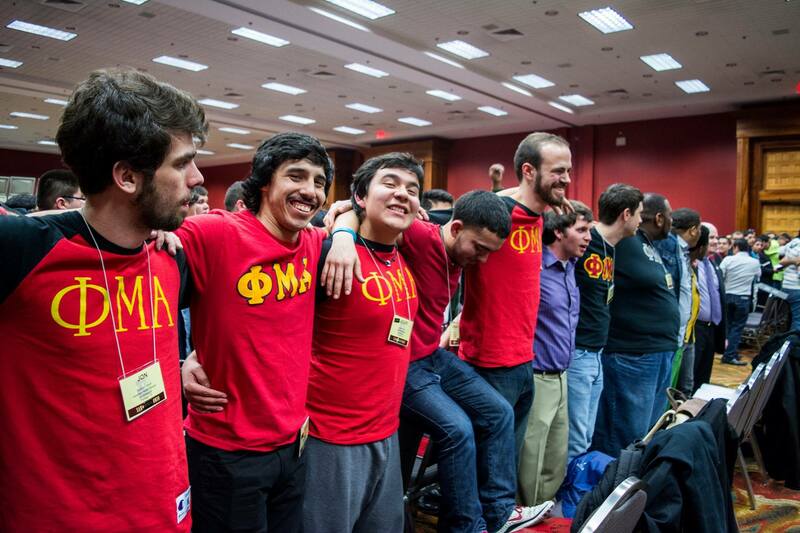 Originally known as the “Texas Sing,” it became what is now Phi Mu Alpha’s Annual TMEA Step Sing, and the thirty-some Brothers at that first sing has grown into hundreds. By 1992, the Step Sing had well outgrown its original location and moved to its current venue inside the Convention Center to better accommodate the number of Brothers and audience members in attendance. Today the TMEA Step Sing is perhaps one of the largest regular gatherings of Sinfonian Brothers in the nation and attendance continues to steadily increase. 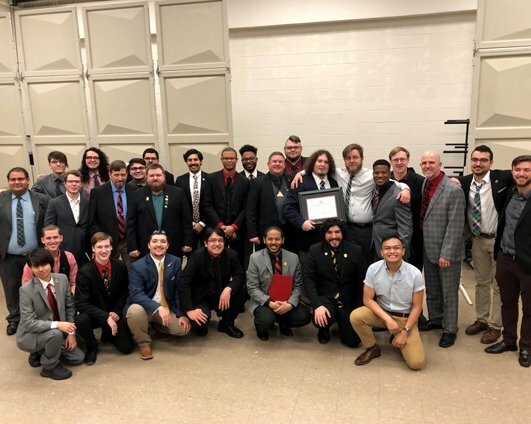 It is nothing more than a testament to the strength of Phi Mu Alpha’s bonds of Brotherhood that a man can gather together with others for nothing more than to share in a song with another or to rekindle his fire for the Fraternity. 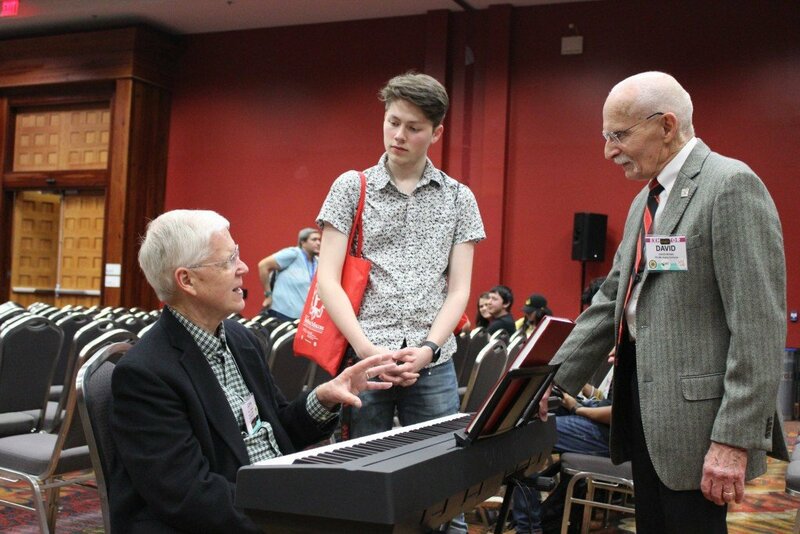 It is because of humble beginnings and the dedication of a few that the small booth at TMEA has become an event that is looked forward to yearly by many.